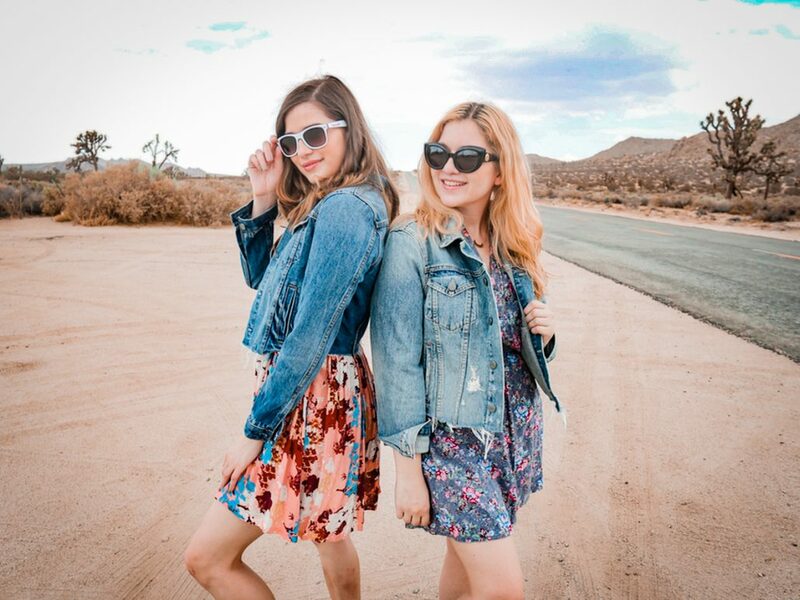 In this installment of our influencer interview series we’re talking to Marissa Rachel and Shanna Lisa of the YouTube channel Marissa Rachel. 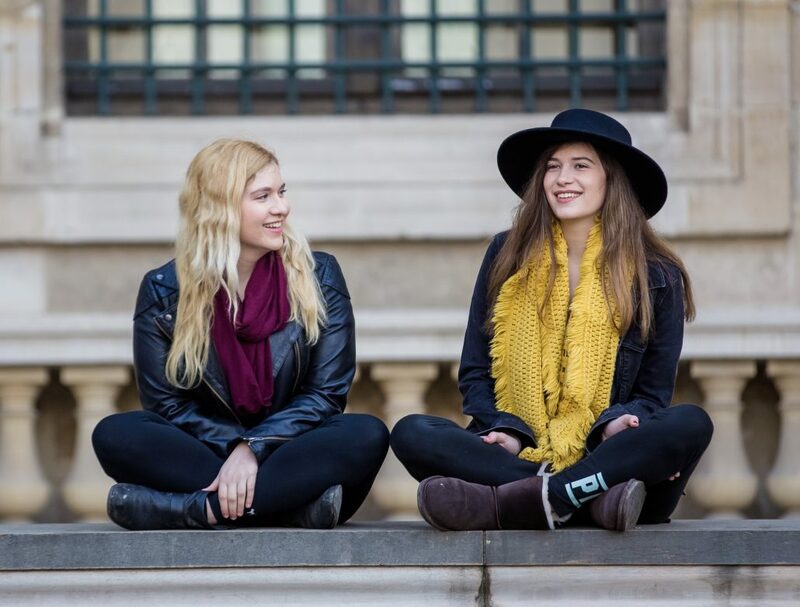 This sister duo has racked up 1.6 million subscribers with their content aimed at U.S. women aged 18 to 24. We talked to them about how they’ve grown their channel, how to work with an influencer duo, and what brands should know about working with influencers. 1. Tell me a little bit about your channel. How did you get started? When did it really take off? Hi there! We’re Marissa Rachel and Shanna Lisa, two sisters from Los Angeles, and we run our YouTube channel “Marissa Rachel” together. We make fun, relatable lifestyle content for an audience of young women, everything from beauty, fashion, women’s health, fitness, travel, and entertainment! Our content tends to be pretty wide-ranging to reflect our diverse array of interests. Marissa is the main face of the YouTube channel and Shanna is a supporting character who appears on camera with Marissa in most of our videos, and we have separate Instagram accounts. We do everything from coming up with the concepts, filming, editing, etc. together as a team. Today, our channel has 1.6 million subscribers, 220 million total video views, and we have 50 videos with over 1 million views each. We first started posting videos way back in 2012 as a fun creative project we could do together as sisters. We weren’t very consistent or strategic when we were first starting out, we would just post random videos that we felt like making, and our audience grew very slowly. It wasn’t until we actually developed a plan and a targeted content strategy that our channel started taking off. In mid-2015, we went from growing very slowly to blowing up practically overnight. We hit 50k subscribers, and two months later, doubled to 100k subscribers, two months later doubled to 200k subscribers, and 10 months later hit 1 million subscribers. We really hit our stride and our channel grew by leaps and bounds. People often ask us what was it about that period of time that we changed to make our channel take off. The truth is, there were many different aspects we started to improve! Our video production quality got way better, our titles became much more targeted and searchable, our thumbnails improved dramatically. We started utilizing Google Trends and VidIQ to figure out what topics were trending and had good SEO at different points of the year. We looked for gaps in the YouTube market to find niches we could fill. Through trial and error, we experimented with different strategies to promote high audience engagement. We became more deliberate about the time of day and day of the week we were posting, as well as video length. We became super focused on learning from our analytics so that each video became an opportunity to refine our approach and improve upon what we were doing. So essentially, we became much more strategic and started to approach our channel more as a business rather than simply a hobby. 2. How long have you been working with brands? What was that first partnership like? We did our first brand deal at 14k subscribers and it was through an online platform where influencers could pitch themselves directly to brands. We were thrilled because when we were first starting out on YouTube back in 2012, there weren’t any opportunities for smaller influencers. Nowadays there are tons of opportunities for microinfluencers but this wasn’t the case back in 2013 or 2014. No one would give you the time of day if you had under 100k subscribers. We knew we were making great content, but no one was pitching us for deals. So, influencer marking platforms were an absolute game-changer for our channel because they put the power in our own hands and we didn’t have to rely on anyone else. It was a wonderful feeling finally being able to pitch ourselves to brands directly. One campaign, in particular, stands out — one of the first deals we booked we worked with the brand for just $250. We really had to sell them on the video concept because they weren’t sure about it at first. Their video went viral and today has over 4 million views. It was probably the best $250 they ever spent! Nowadays, it’s important to focus on what makes us different as content creators and how we stand out from the pack. We’ve learned that building a strong authentic brand is far more valuable than simply acquiring more numbers. We were recently invited to give a presentation on social media to USC film school and much of our talk focused on the importance of building a brand. 3. How has creating content changed your life? We both love what we do! The other day, we bought lottery tickets because the jackpot had reached over $1 billion, and we were talking about what we would do if we won. (Spoiler alert — we didn’t win.) I think it’s pretty telling that if we won the lottery, we wouldn’t “quit our jobs,” we would continue doing exactly what we’re doing! 4. How does working as an influencer team work? How do you work with brands through YouTube and your individual social media accounts? We make a great team! There are certain tasks where we have a clear division of labor over who does what. For example, Shanna makes all of our thumbnails and Marissa does all of our tags and descriptions. Sometimes we do branded content together, as sisters, and sometimes we do campaigns separately. 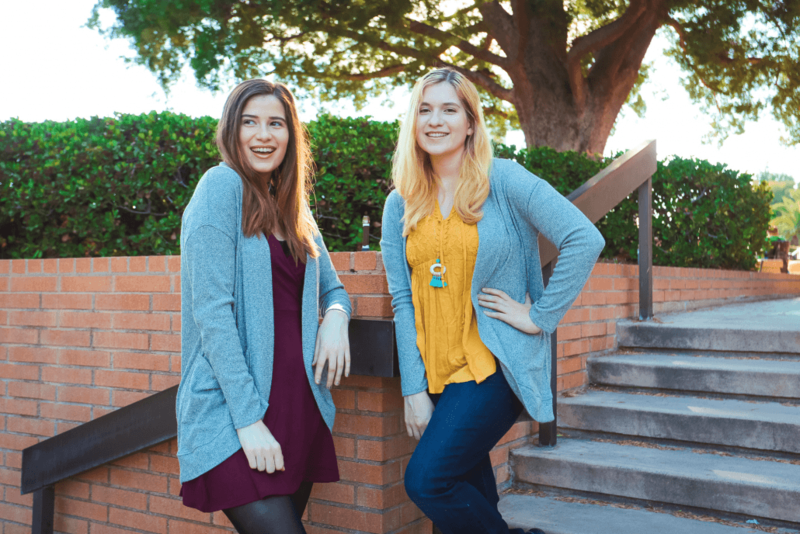 For example, we recently worked with Arizona Jean Co, sold at JCPenney, on a Sister Outfit Challenge video! It’s always especially fun when we get to do a campaign together! 5. What’s something you wish more brands knew about influencers? Brands need to be aware that when you approach a “middleman” company to connect with influencers, many places will just pitch the same exact 10 creators over and over again to every brand that comes along. You might think you’re getting a personalized list of influencers tailored specifically to your campaign, when in reality they may just be pitching you their most expensive creators that can command the highest rates. Brands need to be careful! That’s why Sideqik is great because brands can authentically search for the best influencers for their campaign. 6. What’s something you wish influencers could know about brands? When we work with a brand, it makes our jobs so much easier when the brand explains their objectives clearly from the beginning. Is your goal to drive sales? Build brand awareness? Generate great quality content you can share on your own platforms? When brands give clear deliverables, clear talking points, and have clear expectations, that makes our jobs so much more enjoyable. I think being on the same page as the brand is really important and hashing out all the details beforehand so that there’s no grey area. We always submit a script to the brand before we start filming, and we find that helps a lot. 7. How does your audience respond to sponsored content? In general, our audience responds very well to sponsored content when it’s incorporated in a fun, organic way. Some of our sponsored content is our most viewed content! 8. Where would you like your channel to grow? What’s on the horizon for you? We have lots of exciting projects coming up on the horizon! We’d love to continue working with the United Nations and the American Red Cross. We just taught a seminar at USC film school this past weekend. We also just did our third interview with Forbes Magazine. 9. What’s the best way for brands to reach out to you? 10. Do you worry fake engagements are hurting influencer marketing? It’s very obvious and easy to tell when someone’s audience is not authentic. If they have a huge follower number but only get one or two comments, that’s a sign something is off. I don’t think the problem is as widespread as it seems though. Whenever we go to events or on brand experiences, all the influencers there have genuine audiences, whether they’re microinfluencers or major stars. Sometimes I feel like people act like there are loads of creators out there with 10 million followers and 4 views per video, booking major campaigns with big brands. I just don’t see it.